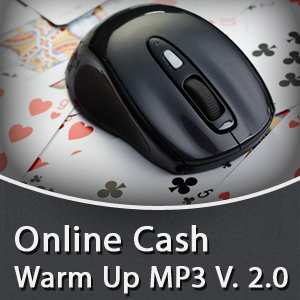 Get All of My Online Cash Game MP3s for the Lowest Price Ever! 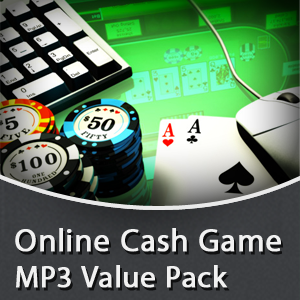 When you buy this MP3 bundle you will recieve a zip file containing all of my Online Cash Game MP3s, and will save 30% off the normal price. The original Warm Up MP3 that clients have successfully been using for over a year to reduce tilt, get in the zone, and play their A game more often. Version 2 is the shortest in this Warm Up series. 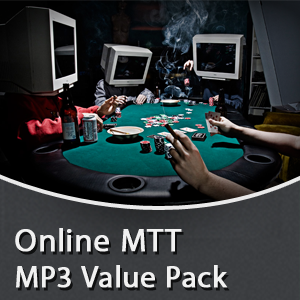 Use this MP3 when you want to get into the zone pre-session, but are running short on time. Version 3 in my Warm Up series introduces some new visualization techniques that I have previously only used with clients in private coaching sessions. This MP3 is great to use when you find yourself slipping into an unwanted state of mind. This works equally as well if you’re starting to go into full blown monkey tilt, or just need a few quiet moments to recover during a break. If you bought these items separately in my shop you would pay $85, but when you buy this bundle your price is only $60. That’s a savings of 30%.